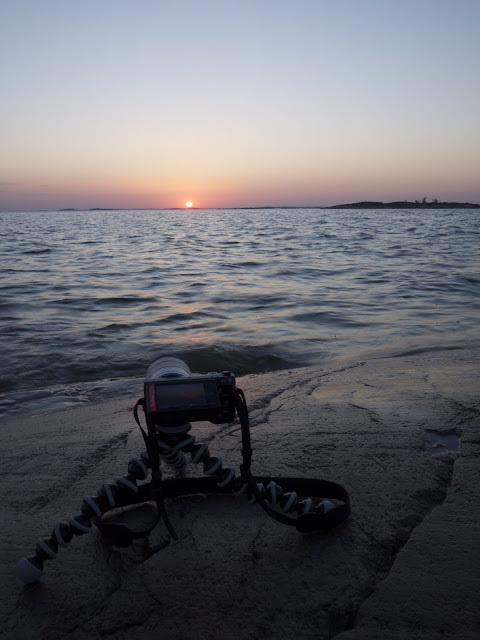 It doesn't matter which camera I use, my Joby GorillaPod SLR Zoom is always with me. It is a reliable tool and allows me to photograph Northern Lights, dusk, dawn, the moon, and even myself. A must have for me on any trip. At 241 g it is not the lightest GorillaPod available; I got this specific model to carry my Canon EOS 50D which is about 1460 g - the SLR Zoom carries the camera reliably in all conditions and can actually hold cameras up to 3 kg - though I won't get that heavy cameras! I have used it with all the cameras I had to date, and as these were all lighter and smaller the SLR Zoom was sometimes a bit to much, but I believe when using expensive camera gear that a bit of extra strength isn't a problem - it adds piece of mind. If you have a smaller / lighter camera, check the Joby site to see which one would be appropriate for your gear. The GorillaPod is like a superflexible Chinese Circus Artist who's able to bend in unbelievable ways while keeping your camera safe and on target. 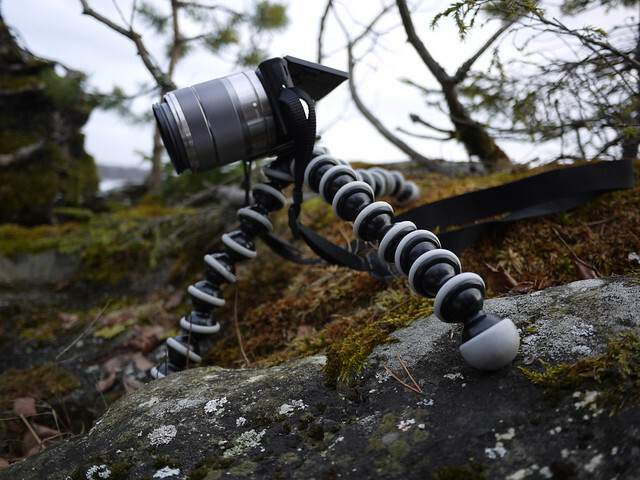 If you're not as flexible, and can't keep your breath for 30 seconds and stand completely still, but want to take some awesome photos, then you should consider carrying a GorillaPod on your trips. It wraps around trees, stands even on slippery rocks, keeps you camera aloft in the snow, and flexes down for macro shots. A critic I have heard is that it is low (in height) in comparison with normal tripods. While this can be a concern, I see it as a benefit as it allows new angles - it gets boring to see photos shot always from head hight. 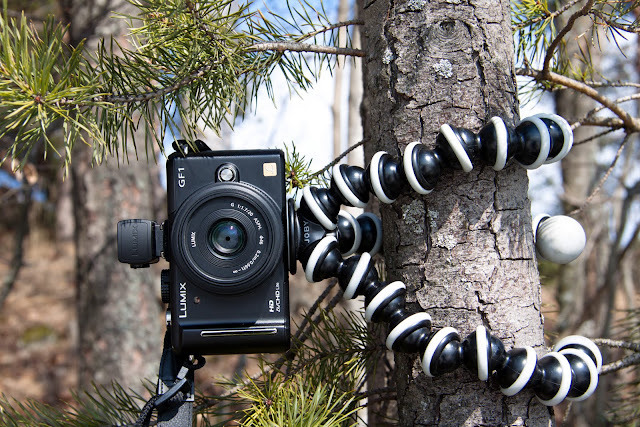 Besides, if there's trees around, wrap the GorillaPod around it and Voilá, head hight. In my two latest videos I also made extensive use of the GorillaPod to get some fine new angles. Thinking outside the box? Then the GorillaPod is a worthy instrument in your toolbox. The GorillaPod has some nifty accessoires, like a ballpoint head with a bubble level and spikes to get more hold in soft terrain like snow and mud. Both are accessoires I'd consider getting if you are serious about photography. The bottom line? An item that I carry on every trip as it allows me to take some fine photos where point and shoot ain't enough. 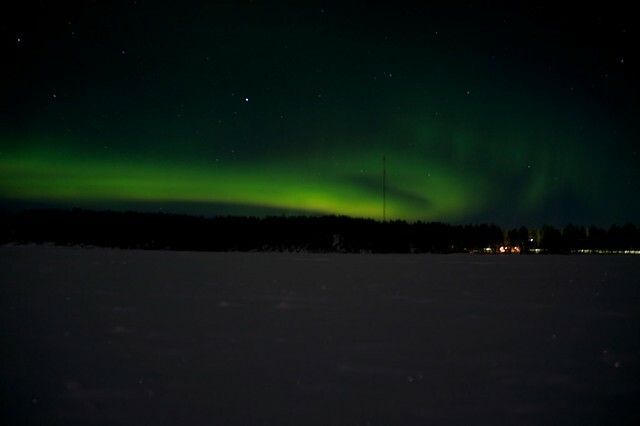 Something you can't do without a GorillaPod: Taking 30 seconds exposures of Northern Lights at night.